Guillaume de Grimoard was a Benedictine monk and renowned professor of canon law, but he was not a cardinal, much less a bishop, in the fall of 1362. He was traveling on an errand when he learned that the pope who sent him had died. Now, he was was asked to return to consult with the papal conclave. Only after he arrived did they tell him the truth: they had already elected him as the pope’s replacement, raising him to the most esteemed office of the universal church. Why? Because the person they really wanted said no. In fact, as it turned out, none of the members of the conclave had any interest in the position. 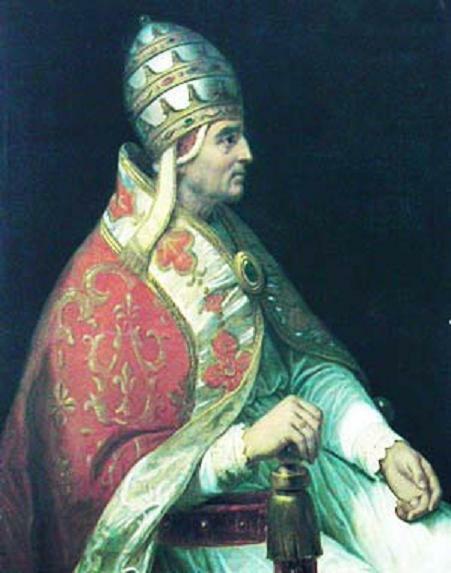 Thus, Guillaume became Pope Urban V.
Too, you should know, Urban V rose to the position of Vicar of Christ in the midst of the most embarrassing moment in papal history: the “Avignon papacy,” (begun when a Frenchman elected pope declined to relocate, having decided that one could surely just as easily serve from the lovely French countryside). So, what would you do? Pope Urban effected the first of several crucial steps in righting the situation: he returned the papacy to Rome. He was known, beyond that, for a rigorous simplicity, repudiating the luxurious habits of the cardinals and bringing many kinds of reforms. He supported education, including founding the university of Hungary and singlehandedly saving school of music at Toulouse. He remained close to the people. He was always, it was said, available to anyone who sought his aid. We live in an age in which choosing–and accomplishing what one has chosen–is everything. Maybe Pope Urban V, whose feast day is today, reminds of something else: the blessedness of the accidental. To choose is deeply appropriate to the dignity of the individual, to be sure, but here we’re reminded that choice so often take the form of what we do when we are caught be surprise. Let down, perhaps. Or informed we have been elected pope–at a moment when popes have become a laughingstock. Whether and how we give consent in such circumstances, how we suffer surprise, is so often the most important choice we make. In his private life, Pope Urban always continued to live as a Benedictine monk. Maybe this was the source of his ability to respond, to be patient, to find a way, on that November day in 1362, to do as the Benedictines do, and begin again. So, have a blessed feast of Blessed Pope Urban V. Burn the cake, perhaps. But suffer well. Think of Guillaume, and begin again.